Using your remote, press OK/SEL to select a title you wish to view. Once selected, you are given the title’s description, rating etc. 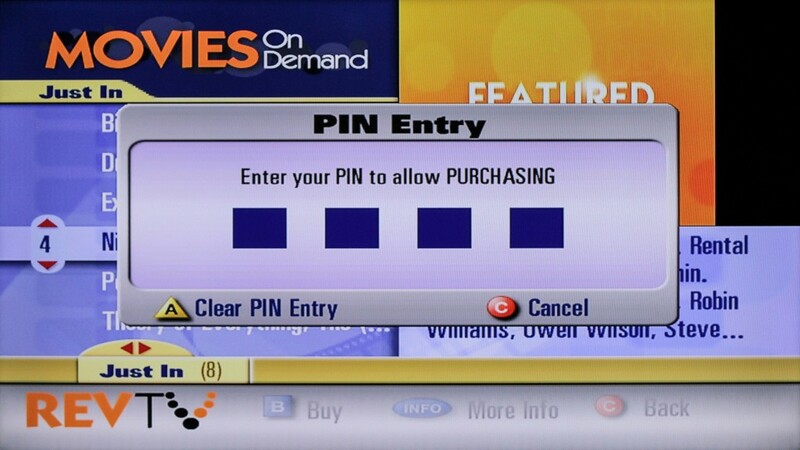 Pressing OK/SEL again prompts you to enter your user Personal & Identification Number (PIN) to verify your purchase.